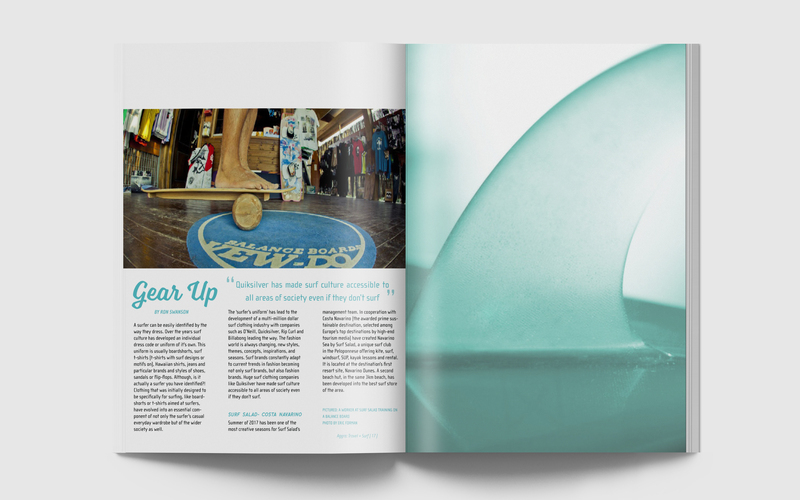 Directed towards an active young adult community, this magazine is edgy and adventurous. 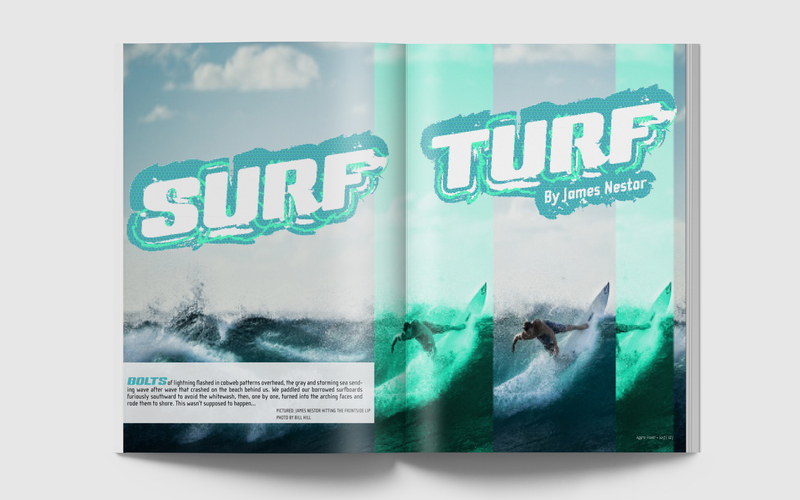 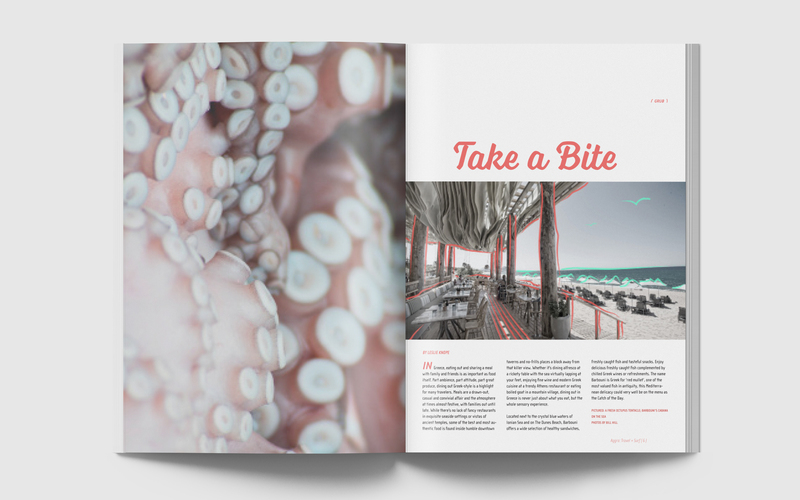 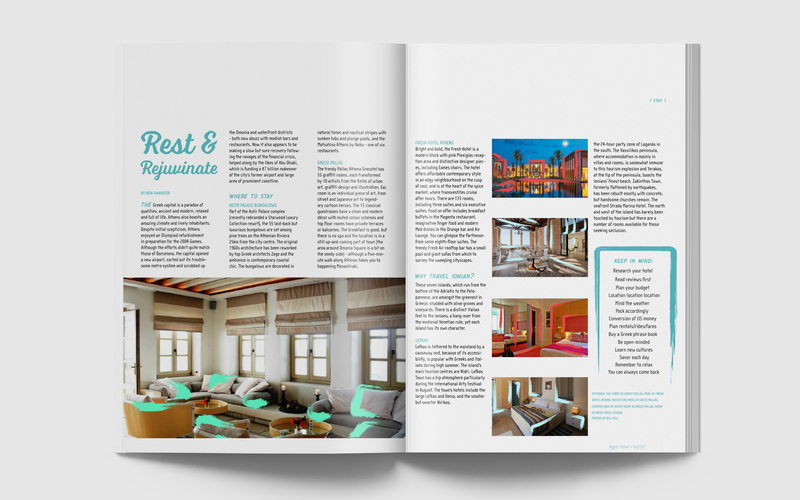 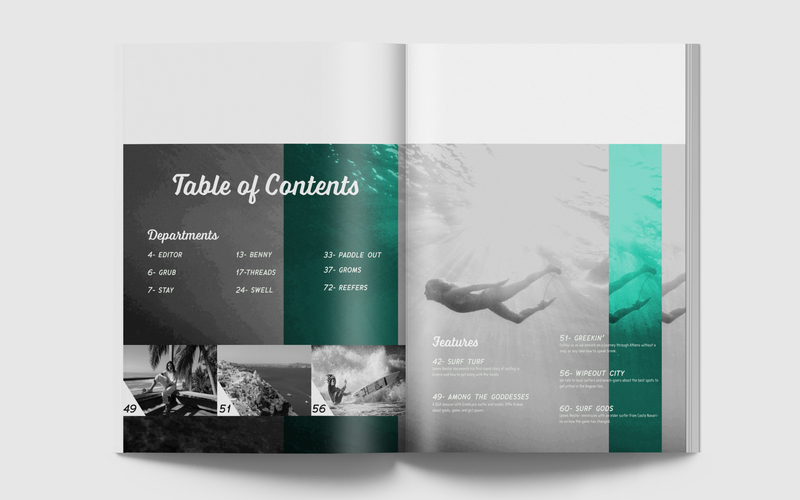 Each volume of the magazine is centered around a different exotic surf haven. 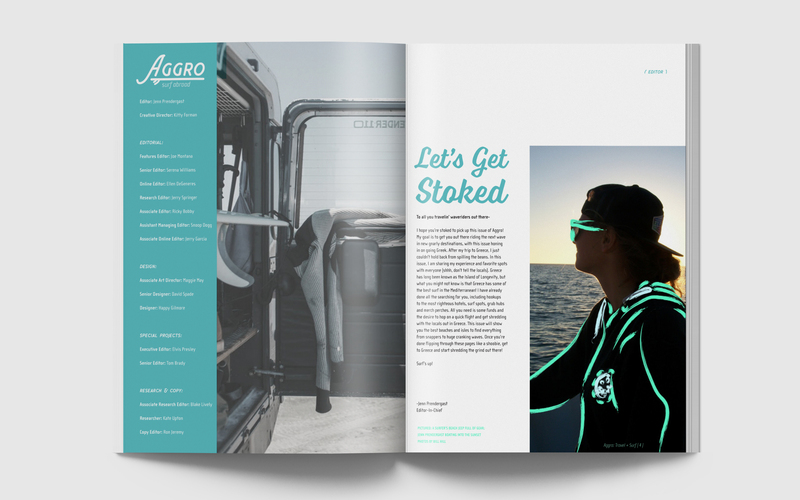 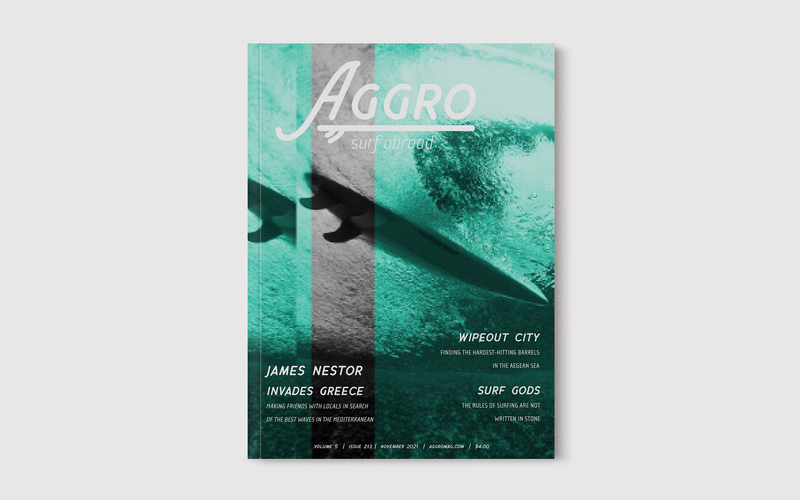 Aggro includes information for surfers willing to travel to find their wave. 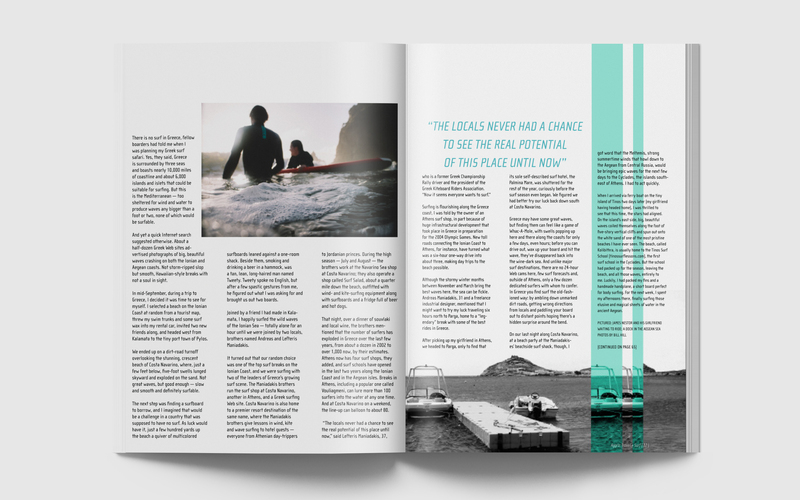 The topic of this issue focuses on Greece, an unlikely paradise for surfers with many sights and sites to behold.